The DC-10 was the successor to the DC-8 as McDonnell-Douglas’s entry into the long-range civil airliner market and was the first commercial airliner to be produced by the company following the merger with McDonnell Aircraft in 1967. 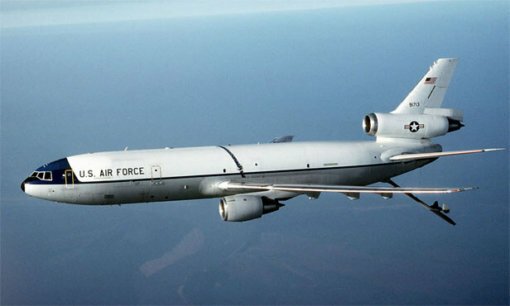 Starting in 1981 the USAF took delivery of 60 examples as the KC-10 Extender aerial refueling aircraft. 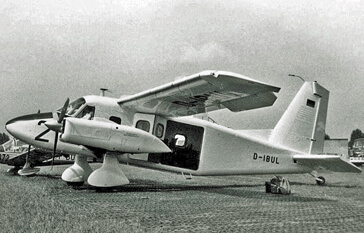 This aircraft had at the time the longest range of any production aircraft. 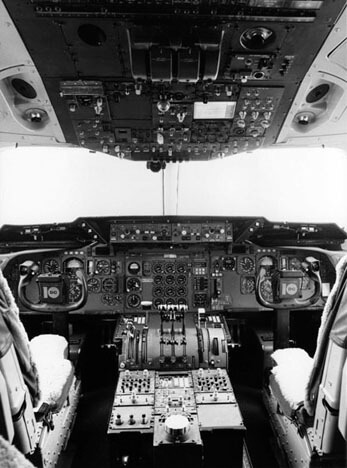 This title contains a complete set of flight and operating manuals for the KC-10A. The files have been scanned from the original flight manuals and retain any colour pages. 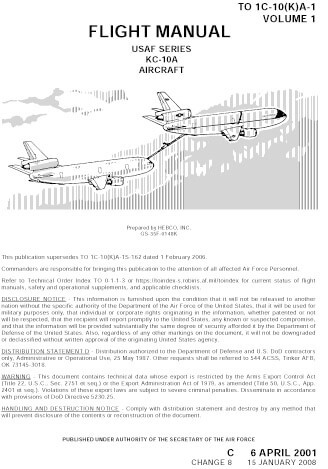 1C-10(K)A-1 – Flight Manual dated 6-4-01 revised to 15-1-08 with approx 1,376 pages. 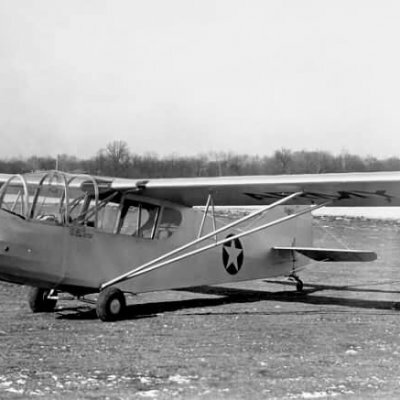 1C-10(K)A-1-1 – Flight Manual Performance Data dated 1-4-90 revised to 1-3-08 with approx 327 pages. 1C-10(K)A-1-2 – Minimum Equipment List and Procedures dated 1-7-85 revised to 1-5-00 with approx 250 pages. 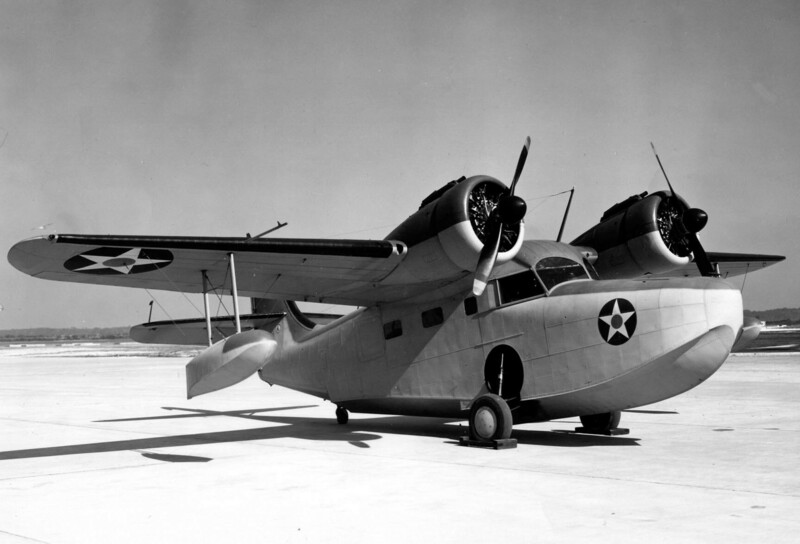 1C-10(K)A-1-4 – Two Engine Ferry dated 15-1-02 with approx 74 pages. 1C-10(K)A-1CL-1 – Pilot and Flight Engineer Emergency Procedures Checklist dated 6-4-01 revised to 1-6-07 with approx 54 pages. 1C-10(K)A-1CL-2 – Flight Crew Abbreviated Checklist dated 6-4-01 revised to 1-6-07 with approx 42 pages. 1C-10(K)A-1CL-3 – Boom Operator’s Emergency Procedures Checklist dated 6-4-01 revised to 1-6-07 with approx 30 pages. 1C-10(K)A-1CL-3-1 – Boom Operator’s Normal Procedures Checklist dated 6-4-01 revised to 1-6-07 with approx 14 pages. 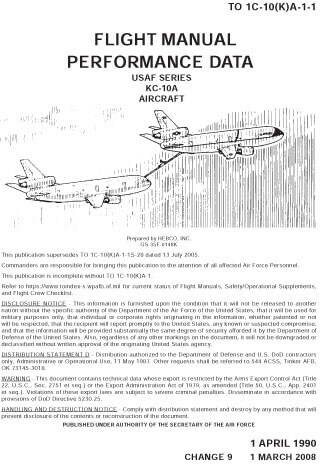 1C-10(K)A-1CL-5 – Air Refueling Procedures Checklist dated 6-4-01 revised to 1-6-07 with approx 72 pages. 1C-10(K)A-5 – Basic Weight Check List and Loading data dated 30-8-90 revised to 1-3-08 with approx 86 pages. 1C-10(K)A-6CF-1 – Functional Check Flight Procedures Manual dated 15-11-00 revised to 1-11-03 with approx 430 pages. 1C-10(K)A-9 – Cargo Loading Manual dated 30-11-06 revised to 1-8-07 with approx 324 pages.